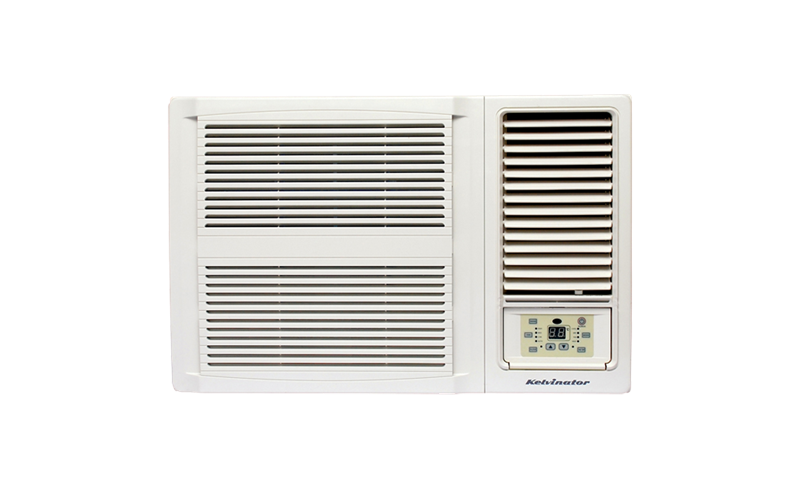 Window Wall Reverse Cycle Air Conditioner 3.9kW is rated 4.7 out of 5 by 24. Rated 5 out of 5 by Xavvy from The way to go! I bought one of these for our large bedroom and certainly glad I did, it keeps the room at 22°C solid even on those 45°C days. Not bad on the power bill either! Rated 5 out of 5 by Stoopy2015 from Heating & cooling box air conditioning Brought month ago & don't know how we lived without it. Keeps back half of house warm & very quite operation. Rated 5 out of 5 by Cathy from Quiet and efficient Cools my living room well despite my house being inland, having no insulation and the summer sun being on the back wall in the afternoon. I am also impressed with how quiet it is. Rated 5 out of 5 by Duke42 from Kelvinator reverse cycle window air conditioner I am glad I bought this air conditioner just in time for the very hot weather and it has performed very well. Rated 4 out of 5 by HD1944 from Works well We recently bought this item, when our old Panasonic air conditioner finally died after 25 years! It's a little noisier than we expected, but not annoyingly so. Easy to install, and it was a blessing that it exactly fitted the slot that the old one came out of. Rated 3 out of 5 by Steer from Same make and model as previous Only had the new aircon installed two weeks ago. Same model and size as previous ono. Old unit lasted seven years. The new unit was quite and ran at much lower temperature to heat compared to old unit but to early to know if running cost is lower. The removeable dust screen is made of too light a plastic and doesn't sit flush against the front grill. Rated 5 out of 5 by Conan from Good Quality, Excellent value for Money I purchased the wall air conditioner for my 4m x 6m office. I am very happy with the quality of the product. Quick Cooling, Easy to clean filtre, simple to use. Everything you want in an air conditioning unit.